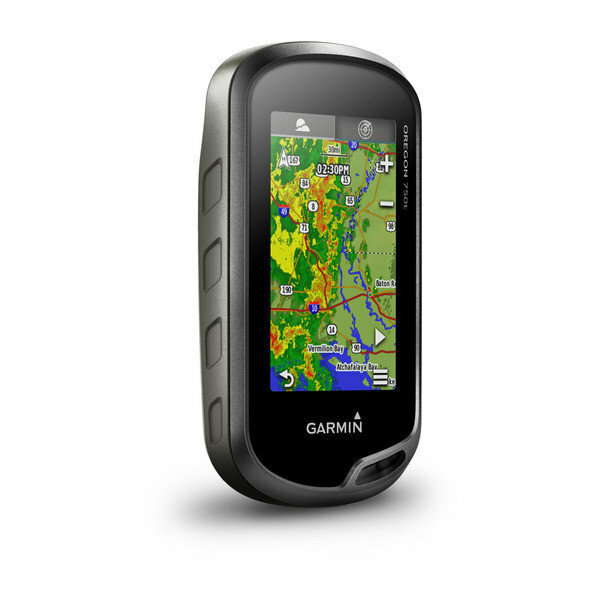 The 750T is one of the most advanced GPS units developed by Garmin up to this point. It has a rechargeable NiMH pack, it comes with Garmin Topo Lite, and it has a more sizable memory capacity compared to the 700 and 650 navigators – 4 gigabytes. On top of everything, this model can get you out of a tricky situation thanks to the flashlight it has been equipped with. The form factor is no different from the 650 to the 750, but the components and overall performance have been greatly improved. Durability and ruggedness matter a lot when it comes to hunting, so you want your navigator to be able to serve you for several seasons on end and if possible, even withstand the abuse of the elements. Fortunately, this model won’t disappoint you in both of these respects since it is both durable and waterproof to the IPX7 official ratings. As for the screen, it is slightly larger when compared to that of similar devices. Although the Oregon series has always boasted the same display dimensions, 3 inches is way better than 2.2, especially if you don’t want to have a hard time discerning what’s being displayed on the screen. Another area where this model truly shines is the fact that it can be used with two types of batteries. One is the NiMH (included) rechargeable battery pack and the other consists of AA batteries. Usually, the battery life you will get with either of these power sources is about 16 to 20 hours. We would recommend charging the battery pack at home and then bringing some AA battery spares with you just to make sure that the GPS doesn’t leave you hanging when you need it the most. However, if you only intend to hunt for a day and then get back home, it’s definitely going to meet your expectations in this respect. This is one of the easiest to use options that we were able to track down, and according to one of the people who have reviewed it, it’s just as user-friendly as any modern smartphones. The activities for which you can use the navigator are grouped in the form of apps (hiking, climbing, fishing, mountain biking etc) on the homescreen. You also have a bit of freedom when it comes to customizing the looks of the homescreen. Another aspect you might want to know about is that the unit is equipped with an 8-megapixel camera, so you don’t have to waste any time typing in the description of the waypoints. Instead, you can just take a picture – that should be revealing enough. 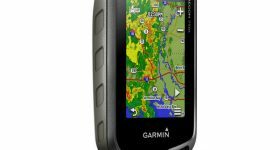 It appears that the 750T is a bit more reliable compared to some of the other models developed by Garmin over time, and the reason for this statement consists of the fact that it comes with an improved antenna for better GLONASS and GPS reception. It’s perfectly capable of locating your position on the map, maintaining it, and even fixing it if it’s a bit off. That helps you save time as you don’t have to stop in the middle of the trail and look at the GPS and just wait for it to load. Moreover, this gadget comes with an altimeter, barometer, and 3-axis electronic compass (ABC) and these three will definitely help you get your bearings. On top of everything, this unit comes with preloaded US TOPO maps that will assist you in planning your trip even before you set foot outside of the house. The Active Weather feature boasted by this option is a great thing, as well, and that’s because it can help you find out whether the forecast has a good chance of endangering your safety or not. Besides the Active Weather and Geocaching Live features that you’ll undoubtedly find useful, the 750T comes with a variety of new functionalities in this respect. For example, it’s one of the few GPS units that are compatible with the Garmin Connect IQ platform. Thanks to the latter, you will be able to customize this navigator as per your liking, at least with respect to widgets, apps, and data fields. Connecting this device with your smartphone to be able to email, call, or text using this particular unit is also capable as long as the wireless is turned on, of course. You will need cellular data for the purpose, however, so do keep that in mind.